Welcome back to Nightmare on VPN street with TMG and SSTP – Part 4 of 4. If you’ve been following along, we’re going to use the client to determine the SHA256 value since this isn’t “visible” within the certificate itself. Then we’ll tackle the subsequent TMG configuration and the testing. If you want to go back to Part 3, Part 2, or Part 1, click respectively. 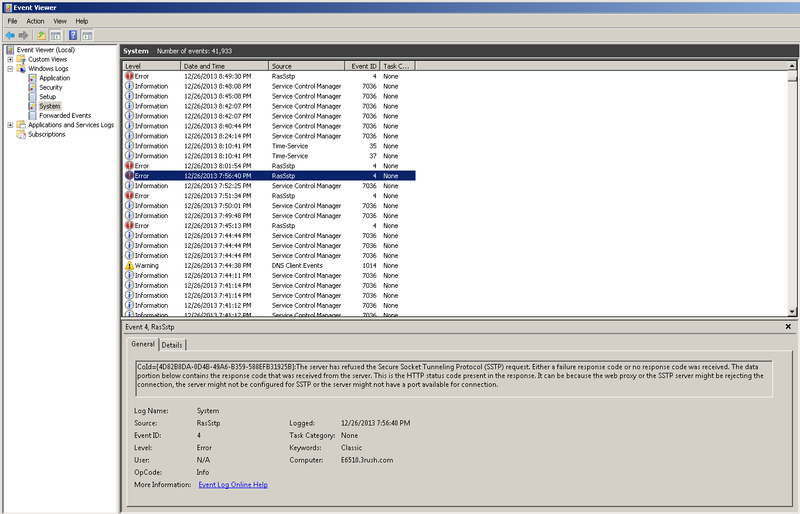 Open the Network Sharing Center control panel. Note, if you use the IP Address, you’ll get SSL errors, although might still be able to connect. Put in your credentials and click “Create” then click “Close”. If you see “connect”, then you didn’t check the ‘Don’t connect now” checkbox. Either way, it’s no big deal. Go back to the propertes of the connection you just created. Under the Security tab, change the “Type of VPN” to SSTP and then click OK. This will allow the connection to happen faster instead of RRAS trying PPTP first, timeout, try L2TP second, timeout, before trying SSTP. Now, here’s where we “find” the SHA256 hash value. 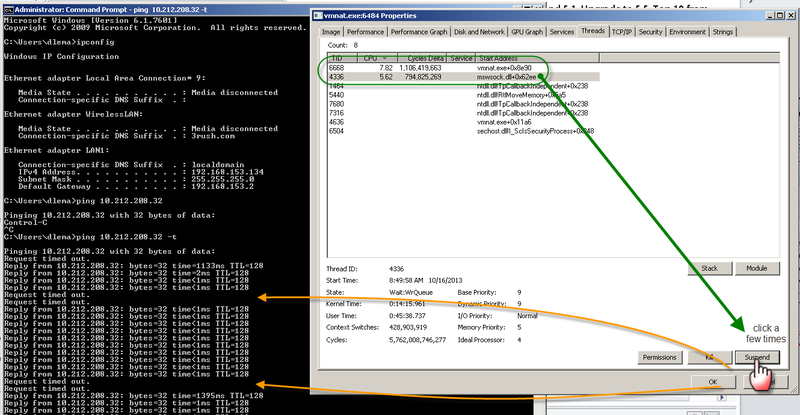 Double click the VPN connection you just created and click connect – you should see it trying to connect, authenticate, then really connect – then almost immediately disconnect. Click ok. Note: I blacked out most of the key for security, but left you the ‘view’ so you know what to look for. 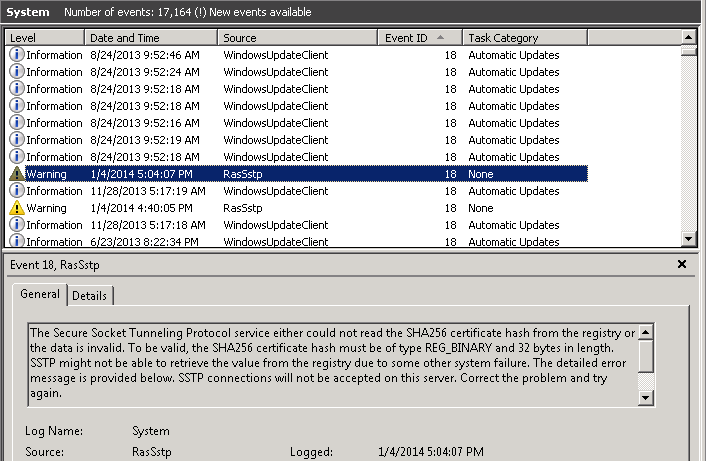 OK, so what you’re seeing in the eventvwr is the SHA256 value that is the ACTUAL CORRECT value. 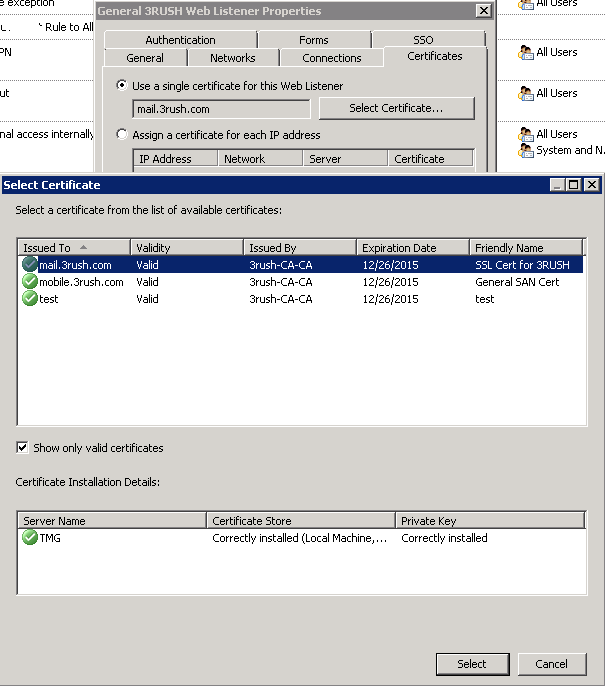 We’re going to take this value and change the DUMMY SHA256 value that is in the registry on the TMG 2010 server. At this point, I recommend rebooting the TMG server and making sure everything comes back relatively clean. 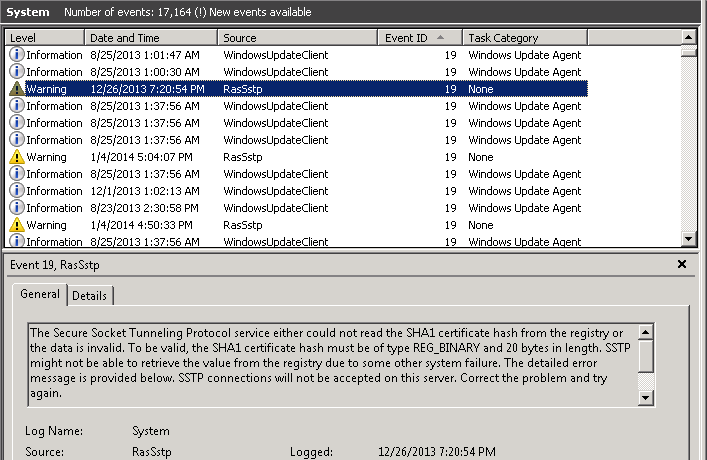 You should no longer see the Schannel errors nor the RRAS SSTP Event ID errors 18 or 19 since the hashes are now correct in the registry for SHA1 and SHA256. Now you should be able to connect from your client using the SSTP VPN connection and STAY connected. 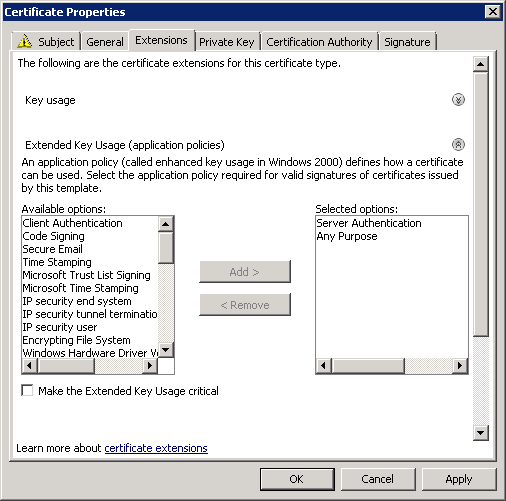 I hope this helps anyone out there save some time with it comes to replacing computer certificates on TMG 2010! Welcome back to Nightmare on VPN street with TMG and SSTP – Part 3 of 4. If you’ve been following along, we’re going to configure the TMG server to remove the old cert/listener and replace it with the new cert/listener. If you want to go back to Part 2 or Part 1, click respectively. 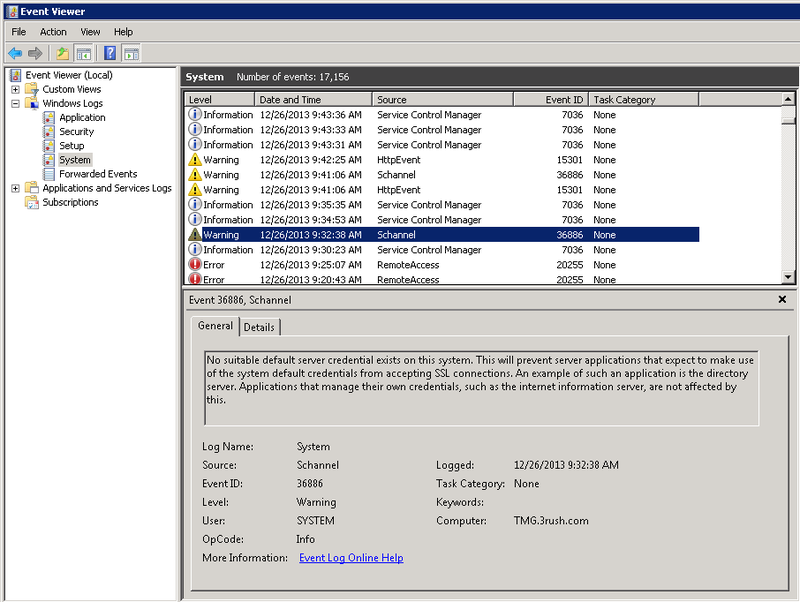 Now that we have the certificate installed in the Computer account of the TMG server, now we have to clean up TMG first, then reconfigure TMG to use the new certificate as well as manipulate the registry. 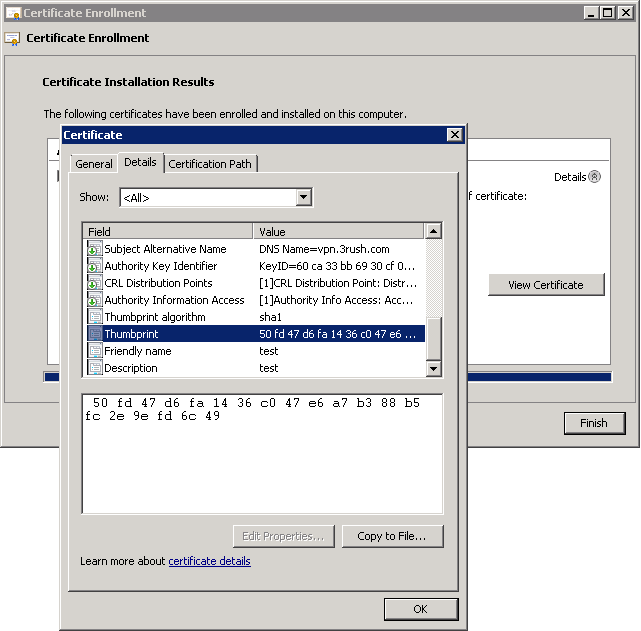 Under “use a single certificate for this Web Listener”, choose the Select Certificate button and choose your newly created certificate and press the Select button when done. Then you’ll need to click Apply on the TMG main page. With that done, it’s time to move on to the HARD part. This is the area where most of my time was spent troubleshooting and researching and doing more troubleshooting. In my case, these values were here – but were the expired ones – further, TMG nor the OS doesn’t update them. 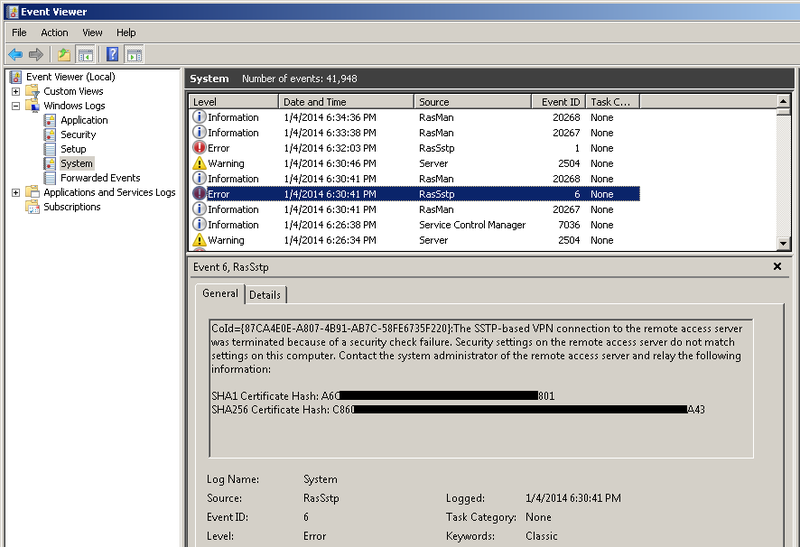 This is why, although I had a new certificate, SSTP was failing. 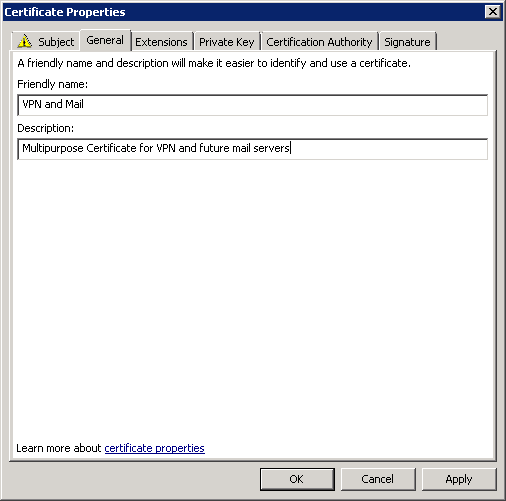 Also, deleting these keys and restarting the server will NOT register the new certificate here. 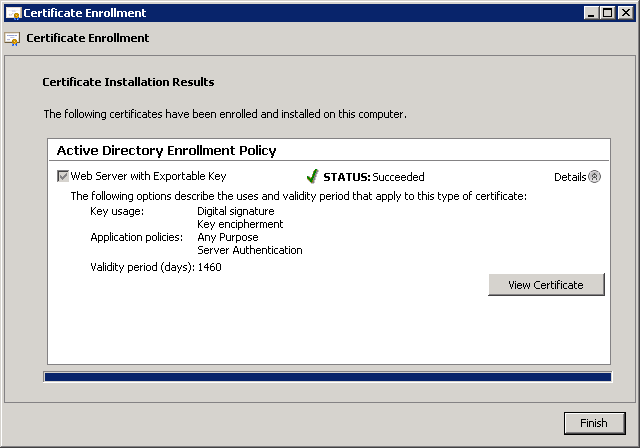 This is something you would expect to work – after all, when I did the first certificate way back in 2010, I didn’t have to touch this at all. Hence the confusion and difficulty troubleshooting. Kudos to Amit Kumar’s blog post that led me in the right direction eventhough it wasn’t exact the solution to my problem. Next, doing the following command will show if there are bindings or not. If there are bindings, then make sure they’re the new cert. If there are no bindings, good. Now we need to add the SHA1 bindings (you did copy them from the certificate you created in Part2, right? :>) – you cannot add the SHA256 bindings (YET) because we don’t know the hash for SHA256 (see later in part 4). Now we’re off to Part 4. You can click here to get there. 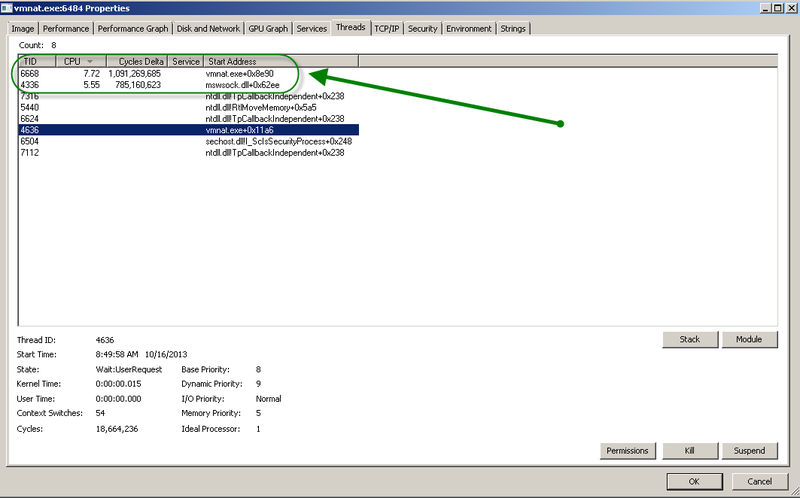 In Part 4, we’ll use a client to try to connect to the TMG server using SSTP – it should connect, then disconnect. [There are a bunch of google entries out there but none really address the underlying problem – a bogus or missing SHA256 entry – we’ll address this next]. I’m writing this today to have some place to refer back to in order to remind me how painful this process was – and how much I love snapshot technology. 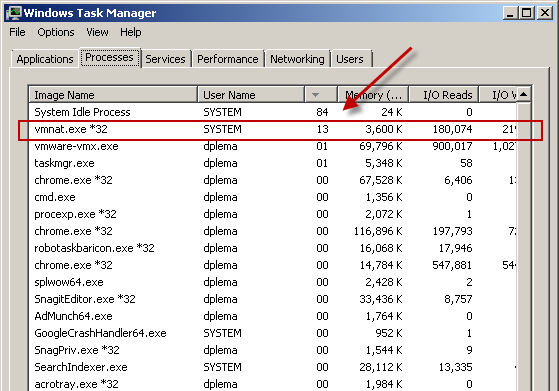 Issue: Strange errors that show up during the simple or custom upgrade / install process. Then there is a weird error that it cannot export data. 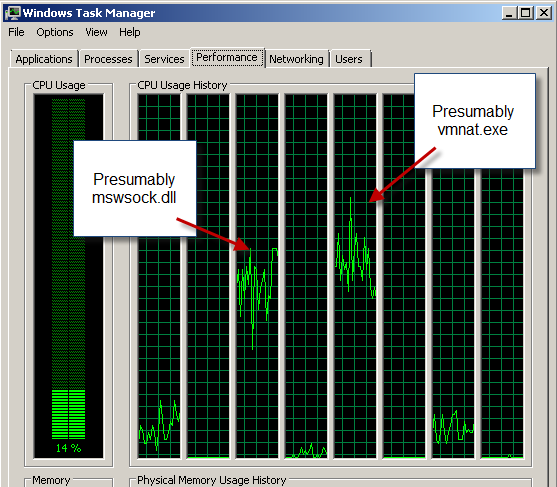 “There was an error while exporting data. 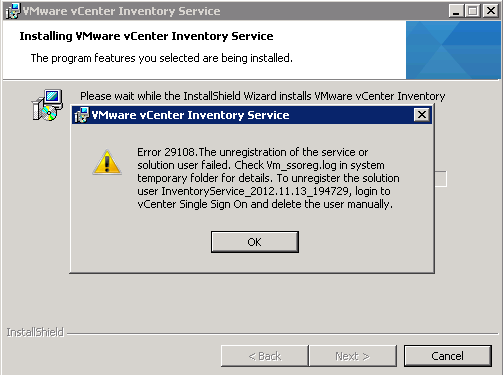 Installation can continue without migrating existing data. Do you want to continue. I decided to look into this. 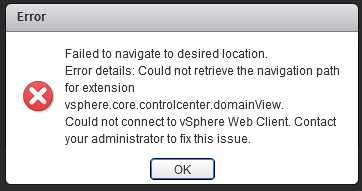 Turns out this error only applies to an SSO Multi-site environment. 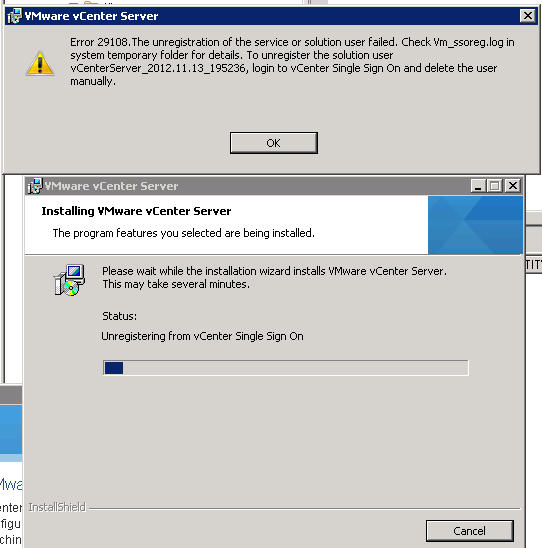 So the installer apparently ASSUMES a multisite environment – poor programming. 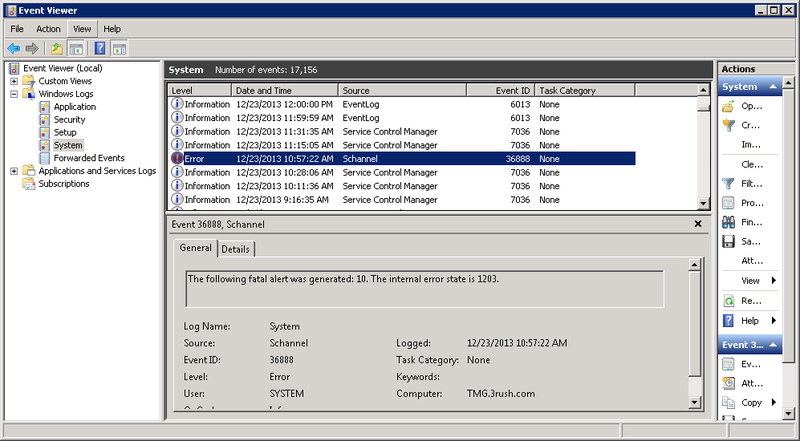 In this case, the “unsupported operation” means that it errored out because I don’t have a multisite setup. At this point the installer proceeded and said it was “successful”. I’m skipping many troubleshooting steps at this point. 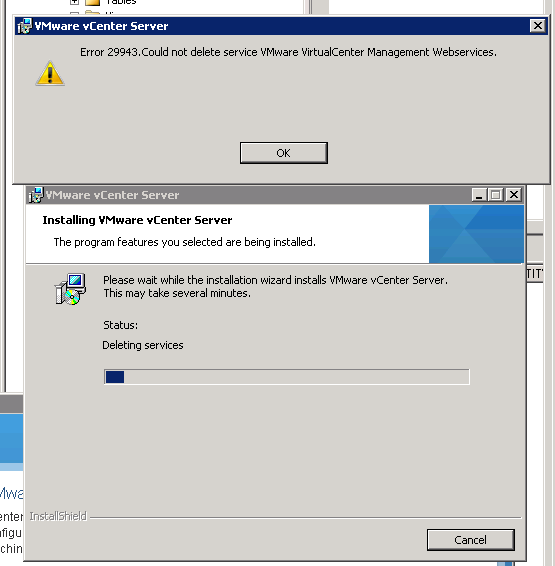 I spent about 5 hours nonstop digging through a dozen (maybe two dozen) articles from VMware site to personal blogs, etc. 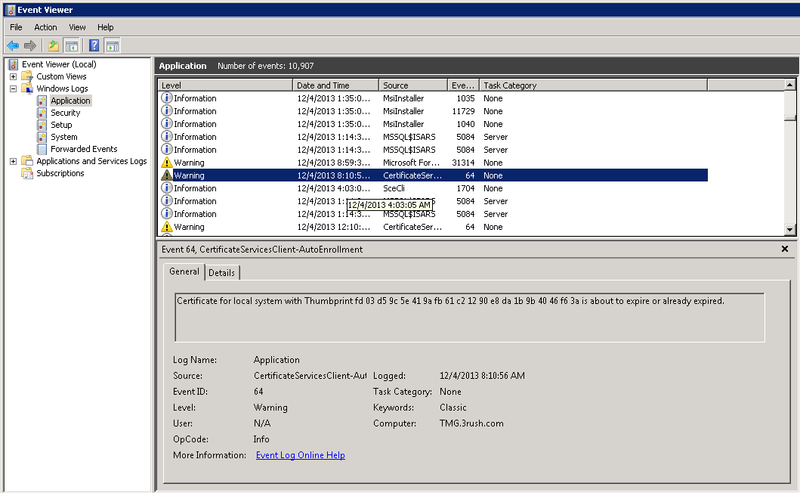 So this is proof positive that the installer is choking on the existing certificates during the upgrade. 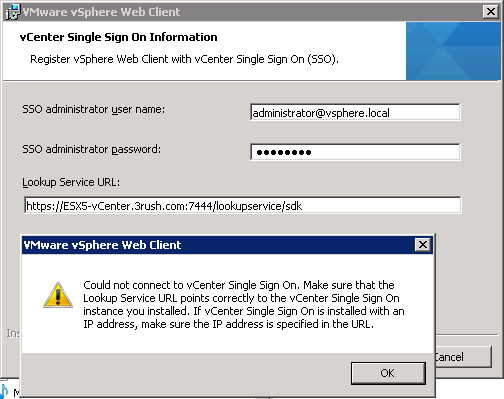 “After upgrade, domain administrators, who are part of the local administrators group, cannot log in to vCenter Server In your vSphere 5.1 environment, you gave permissions to the local administrators group, which implicitly includes the domain administrator group. 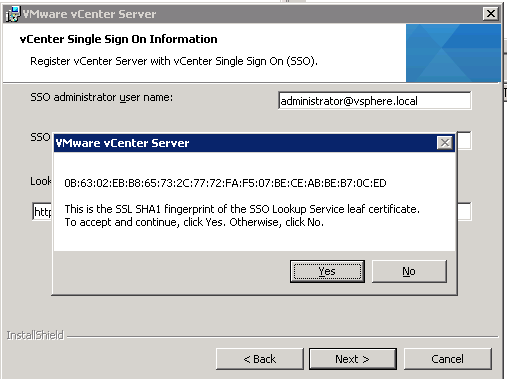 You can log in to vCenter Server 5.1 as a member of the domain administrator group. 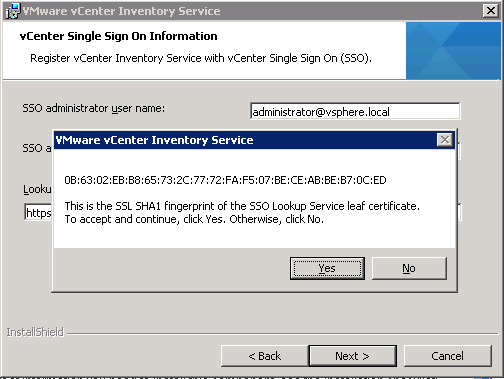 However, when you upgrade to vSphere 5.5, the domain administrator users no longer have the permissions to log in to vCenter Server. 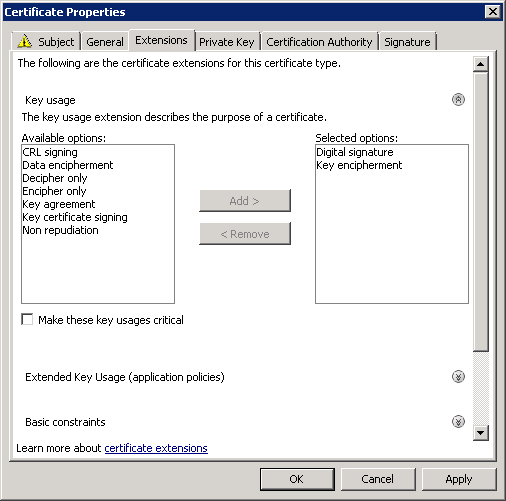 Permissions for local users are maintained after the upgrade. So at the end of the day, I just “reverted to snapshot” because I was exhausted at how disjointed and cumbersome the upgrade to 5.5 was. Make sure to let this article sink in at how many issues you’ll come across. And for the record, this was my home lab – I can’t imagine the egg I would have had on my face if this was a customer production environment. Incidentally, yes, I’ll be telling my existing customer to “hold off” on the upgrade. It’s not ready for prime time. In all serious, it’s probably a good idea for Comcast to block port 25 for residential subscribers (due to the bots and other attack vectors for spammers and malware purveyors) but that left me with a conundrum. No scan-to-email capability. This used to work – but back in March of 2013 or thereabouts, Comcast closed down the port. The other issue is that the Dell MFP 3115cn can only be configured to use port 25 to send email (technically it can also use 5000-65535, but that’s useless). Partial solution: Call comcast as stated above – they will provide an exception but do not guarantee how long the exception will last as they automate the closing of port 25 on some undefined audit basis. Real solution: I’ll be the first to admit that not everyone can do this BUT, if you’ve got an internal windows server or other free SMTP server software you CAN do this. Configure your MFP to use your new internal server you just created above. I tested this and it worked FIRST SHOT! This will allow you to bypass the ridiculous code restriction on the MFP Dell’s that will not allow port anything other than port 25 outbound. My wife is thrilled that scan to email works again!